Sunday ~ Choose well, commit for life. Monday ~ Socialize now – new doesn’t have to be scary. Tuesday ~ Exercise body. Exercise mind. Wednesday ~ Love your pet…see your vet. Thursday ~ Pet population control. Know your role. Friday ~ Emergencies happened. Be prepared. Saturday ~ Give them a lifetime of love. Animals make my life complete! OMD! We didn’t even know! Eko and Penny would like to know who they should address their letter to about making every day “Remember to give some treats with your love” day. 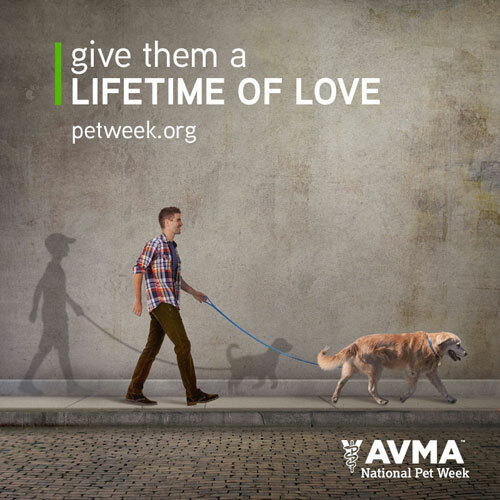 Every week is National Pet Week, every day National Pet Day! I wouldn’t have it any other way! These girls – and their Angel sisters – are spoiled with love. And a little people food now and then. Hug your parrot every day. Thank you – that was a lovely video.